This October, rise to the occasion with Under Armour as the US high performance sportswear label participates in Operation Broken Wing to improve the lives of youths at risk through fitness. Operation Broken Wing is an athletic collective spanning the globe with a desire to help youth at risk through exercise and wellness. The main event at Operation Broken Wing this year is Fight for Hope, where prior to the final event, sponsors of each participant agree on a fixed donation for each successful repetition. 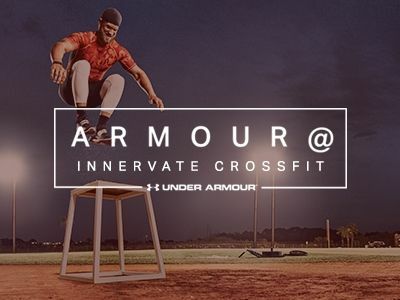 Under Armour, with its commitment and dedication to the fitness and wellness community in Singapore, is putting together a six-man team to participate in the final event on Saturday, 15 Oct 2016, and will sponsor a donation of SGD0.50 for each successful repetition for each of its team members. A strong believer of building a community through fitness, Under Armour is looking for individuals who demonstrate tenacity, determination and perseverance in sport and fitness, to be part of their six-man team for Operation Broken Wing, which will be led by Under Armour brand athlete and Under Armour Test of Will 2016 winner, Jet Ng. Through its participation in Operation Broken Wing, Under Armour is committed to empowering the youths of tomorrow in a collective effort of sporting individuals. If you are an avid supporter of the fitness community and would like to make a difference, come join us and be a part of Team Under Armour for Operation Broken Wing. To register, please visit the website at this link: https://www.tripleready.com/event-details/team-ua-for-operation-broken-wing. Join us as we come together as a community and contribute to a larger cause using fitness.